Jimmy Butler in action with the Philadelphia 76ers. Butler joined the team via trade earlier this season. Photo courtesy of Wendell Cruz/USA Today. I remember waking up as a kid and tuning into SportsCenter every day at 8 a.m. to watch highlights from games the day before. I’d listen to commentators recap each sport delicately and anxiously await the list of Top 10 plays. The people on screen knew more than me at the time, so I tuned in and paid attention to every detail, watching them analyze teams, players and coaches like it’s a science lab experiment. Years later, I find myself in a similar position, but having to seek out the results myself. Why? In part because I’m walking down a similar career path within the sports industry. But also because of a new trend in the sports world – the mass coverage of drama. It’s frustrating enough I can’t escape scrolling past users arguing about sports on Twitter or Facebook, or practically any social media site. Yet now, one of the few escapes I have from such realities — watching sports — is plagued with beef among players, blaming coaches and more. This differs from the drama regarding free agencies or trades. Topics such as those are acceptable for coverage and bring value to the sports analysis world. Where an athlete decides to play and for how much money is valuable knowledge to fans such as myself. However, near-constant coverage of individual players smack-talking one another off the court doesn’t make sense. 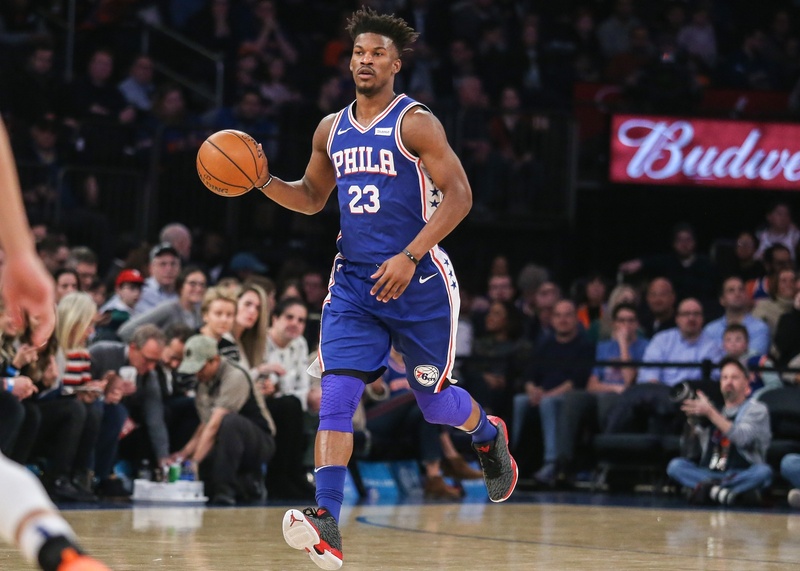 For example, Philadelphia 76ers guard Jimmy Butler stirred up a lot of controversy for comments he made in October 2018 when he was with the Minnesota Timberwolves. He made claims they would not see success without him on the roster. I couldn’t avoid the coverage of what was unfolding. I respect Jimmy Butler and his abilities as an athlete, but I’d prefer if it wasn’t tainted by mass coverage of his personal issues with his former team. Another example is Jalen Ramsey, cornerback for the Jacksonville Jaguars. Prior to the 2018-19 NFL season, Ramsey called out numerous players throughout the league in an interview. Nobody, rookie or veteran, was safe from his remarks. “I think [Josh] Allen is trash,” he said, on the Buffalo Bills quarterback, in a GQ magazine interview. According to Ramsey, Matt Ryan is overrated, Ben Roethlisberger is decent but makes receivers chase — the list goes on. Throughout the course of the season, media sources would return to Ramsey’s comment and question him about how things were unfolding. Are the “busts” in the pros failing? Are the good players succeeding? If Jared Goff is “average to above average,” did his team carry him to the Super Bowl? I have a better question: why should I care? The outcome of a season or single game is not impacted by the opinions of a single player. If I want to see who’s “trash” and who’s “good,” I’ll look at the stats myself. It’d be nice if I could tune in to shows and see analysts focus on the statistical side of players and highlight their abilities, but again, they’ve focused on the drama. For the record, Jalen, that quarterback you called “trash” led the Bills to a 24-21 victory in week 11 against your team. “Big Ben” and the Steelers defeated you 20-16 the week before. So your 5-11 record this year doesn’t really bode well for your position to talk. I remember growing up and my grandfather showing me old newspaper articles about Michael Jordan’s return to basketball after retiring for the first time. The media didn’t focus on what had transpired leading up to and during the retirement phase. When he returned, the sports world knew he was something special who would put up numbers just as before. He’d go on to win three more NBA titles. Looking through old newspapers and watching old sports broadcasts, there wasn’t focus on the drama. Players cared about the teams they played on, had well-rounded relationships with coaches and respected those they played against. Players like Derek Jeter, Larry Bird, and Kobe Bryant, are good examples of athletes who cared about the cities they played for and the teams they represented. It’s difficult to find articles that talk down to such players. Kobe went on to win an Oscar after his retirement and has donated millions to charity. Jeter is always known for his smile and leadership (and “the flip”), and Bird has shown he adores his home state of Indiana despite playing in Boston. This isn’t to say we don’t see this anymore. Currently, the journey Dwayne Wade is on in his final season shows how much teams respect him. He swaps jerseys with former teammates and other players all the time. We are getting more coverage of the cases where tensions rise and heated arguments are plastered everywhere like political ads before an election. I simply wish that the sports coverage industry would focus on what matters on the court or field, and not off of it. Yes, drama is entertainment, as is sports. But to me, the world of athletics is more than that. Athletes strive to one day play among the elite. Men and women become heroes to young boys and girls, and the kids go on to chase their own dreams. Sports today create a cycle that inspires the next generation to compete. Yet, with drama now scattered everywhere, those heroes may not come off as so heroic. Everyone has flaws, even those we admire. We shouldn’t belittle them for it.